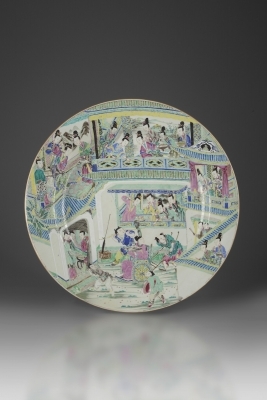 Exceptional in size, this early Yongzheng dish depicts a scene of the poet Pan Yue, holding a fan decorated with a typical Chinese landscape, wheeled in a sedan chair within an inner court yard. 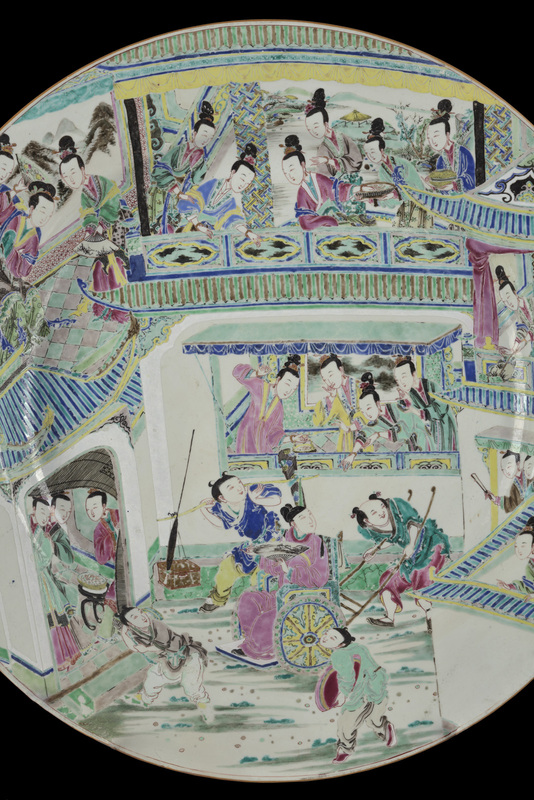 Pan Yue is observed and waved upon by the court ladies standing on the overseeing balconies and open windows. 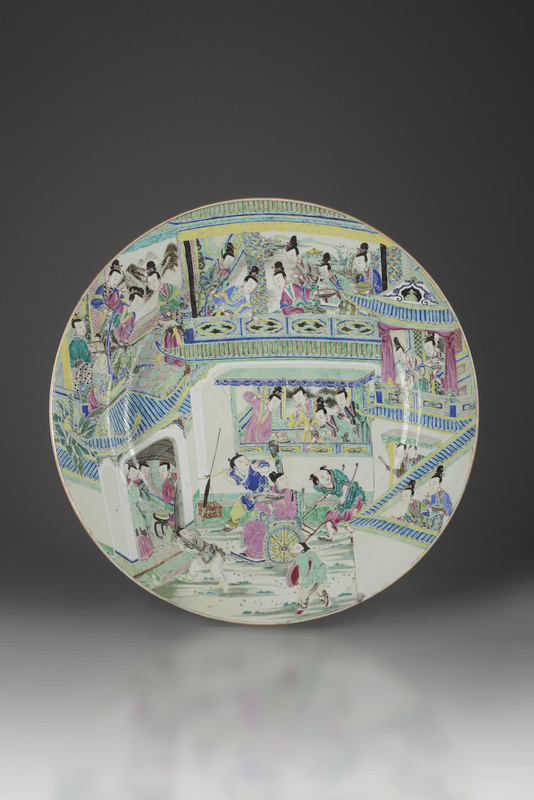 This scene most likely derives from one of the traditional Chinese tales told over the centuries, of which many have been a favourable subject matter portrayed on Chinese ceramics. 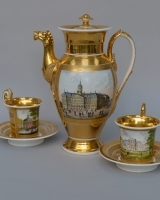 The term famille rose, was first introduced by Albert Jacquemart and Edmond Le Blant in 1862 in their publication Histoire Artistique, Industrielle et Commerciale de la Porcelaine. 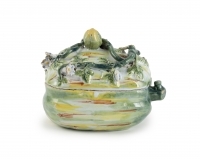 This publication was the first attempt to classify the various types of Chinese ceramics and the terms are still used to this day. Condition: one chip circa 2 cm to the reverse.